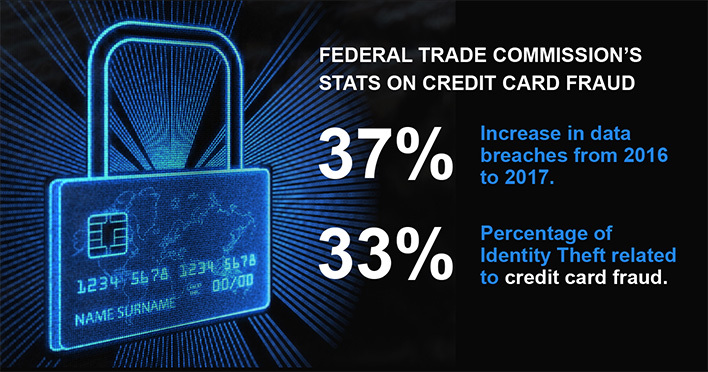 IS YOUR CUSTOMERS’ CREDIT CARD DATA AT RISK? ARE YOUR FRANCHISEES ADHERING TO INDUSTRY BEST PRACTICES IN CREDIT AND DEBIT CARD SECURITY? ARE THEY PCI COMPLIANT? Although the recent shift to EMV Chips on credit cards has significantly helped the problem, credit card fraud continues to be a concern for most small businesses. Instead of allowing franchisees to find their own credit card processor, smart franchise systems are negotiating rates and mandating vendors that offer a higher level of security and will insure that all franchisees are PCI Compliant. The Payment Card Industry Data Security Standard (PCI DSS) is a set of security standards designed to ensure that ALL companies that accept, process, store or transmit credit card information maintain a secure environment. Franchise Payments Network helps franchisors implement cost effective systemwide PCI DSS compliance and help franchisees understand its importance. Consumers are quick to post credit card breaches on social media. One breach will hurt the whole franchise system and erode consumer trust. We live in a world of transparency and without having some control over the credit/debit card processing, you are putting your franchisees at risk. 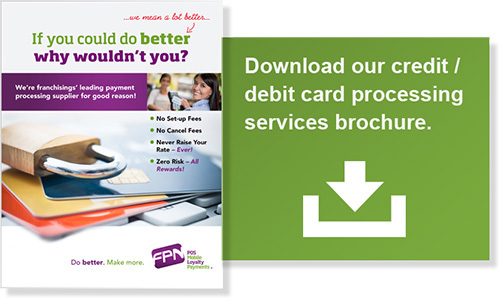 Assigning Franchise Payments Network (FPN) as your approved vendor for credit card processing enables franchise organizations to quickly gain PCI Compliance and secure customer data. Our customer service team will reach out to each and every franchisee and make the process as seamless as possible. Experience counts when it comes to working with franchisors and franchisees. At FPN, we understand what it takes to build trust and get the job done. Our success has come from our ability to deploy our experienced account managers and customer service teams. *Statistical data above was cited on CreditCards.com in an article titled Credit card fraud and ID theft statistics written by Jason Steele, October 27, 2017.